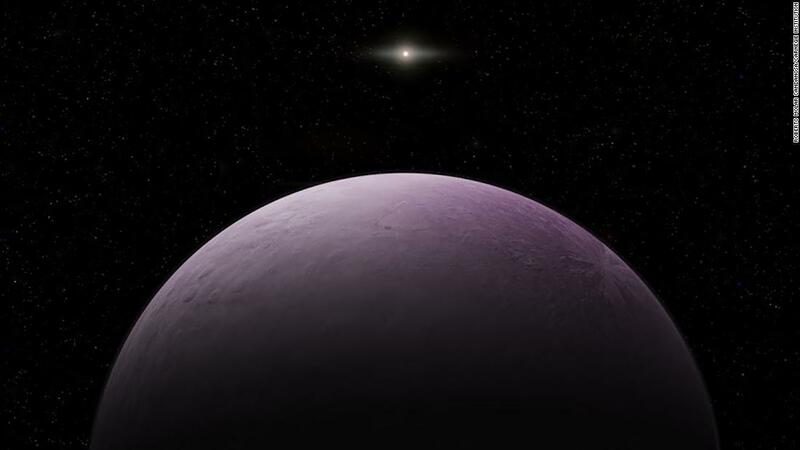 (CNN) The most distant known object in our solar system was found, Jupiter showed off its artistic side, and a sad accident for a 27,000-year-old giant ground sloth turned into a win for science. And that’s not everything. Here’s what you missed this week in space and science. NASA’s Juno probe just conducted its 18th flyby of Jupiter, snapping beautiful photos along the way. This one captured swirling atmospheric features as they moved around a circular formation in one of the gas giant’s jet stream regions. But we can all agree that it looks like van Gogh’s “Starry Night” painting. 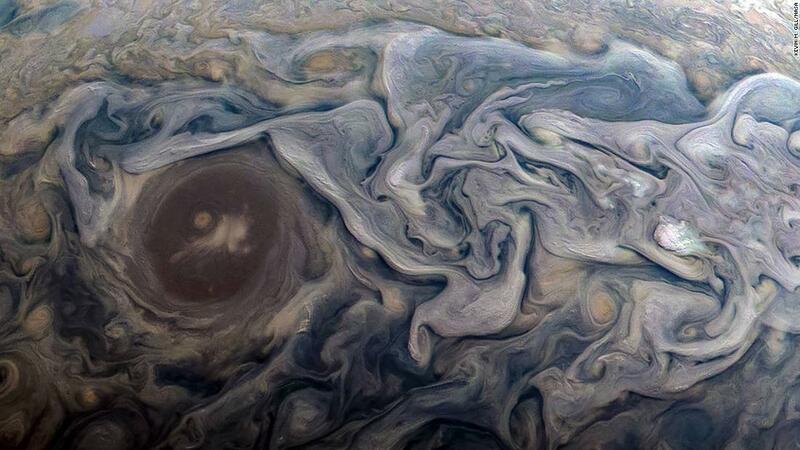 Who knew Jupiter was such a Post-Impressionist? Before missions like NASA’s Mars 2020 rover go to the Red Planet, the agency wants to make sure it’s prepared. In this case, the rover needs to be able to drill and collect samples that could show evidence of ancient life. 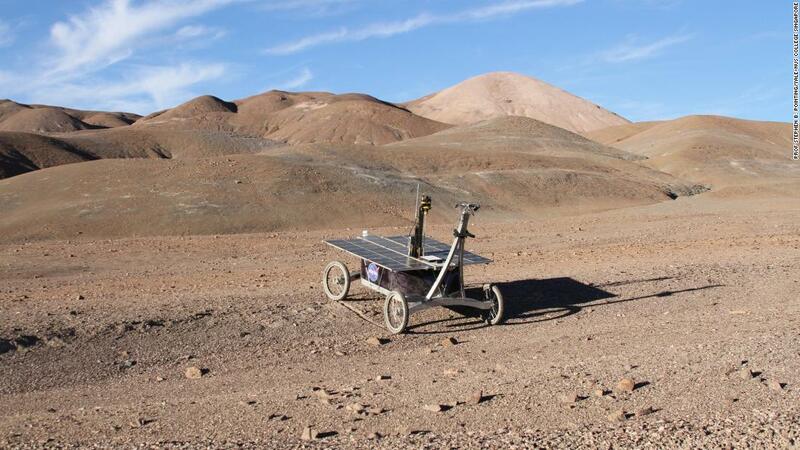 A trial mission rover was sent into Chile’s Atacama Desert, the driest on Earth, to drill below the surface and look for signs of bacterial life. Because, let’s face it, nothing else wants to live in a place that’s basically as inhospitable as Mars. And the rover was successful, even if that rover in particular never gets to go on a cool mission off-planet. But it found that there were patches of microbial life in the desert. It drilled only centimeters below the surface. Mars 2020 will have to drill 2 meters. You’ve got a year to figure that out before your launch, 2020. No pressure. 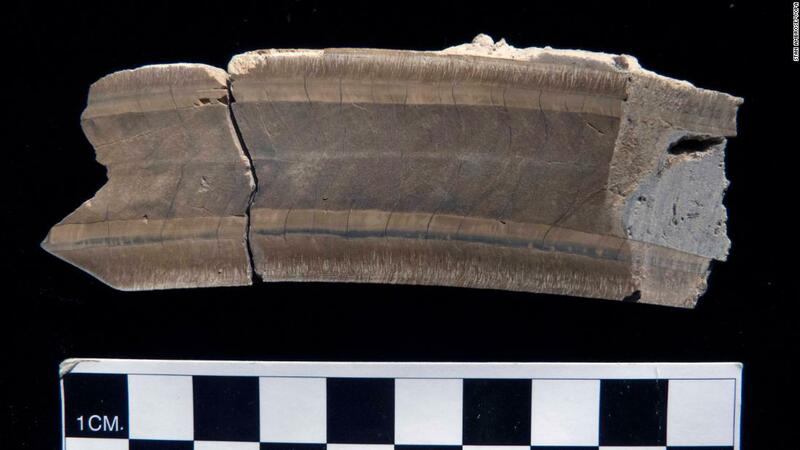 Fossils not only tell researchers what life was like during any given time period on Earth, they sometimes record even more about their surroundings — like this 27,000-year-old giant ground sloth tooth. This poor sloth had a tragic ending. It lived in Belize, which was then arid, rather than the lush forest it is today. And researchers learned that the sloth lived through a seven-month dry season bookended by two short rainy seasons. The 13-foot-high hairy sloth got thirsty and went looking for water. Oh, look, there’s some in a sinkhole. That looks refreshing. But it was a trap. The sloth went down into the sinkhole, had a hearty drink and then got stuck and couldn’t climb back out because of the steep sides. A few years ago, divers saw bones sticking out of the walls of a cenote, a very beautiful pool in the jungle. They learned that the sloths adapted to live through these different climate patterns, which is why they outlived other giant mammals during the last ice age. 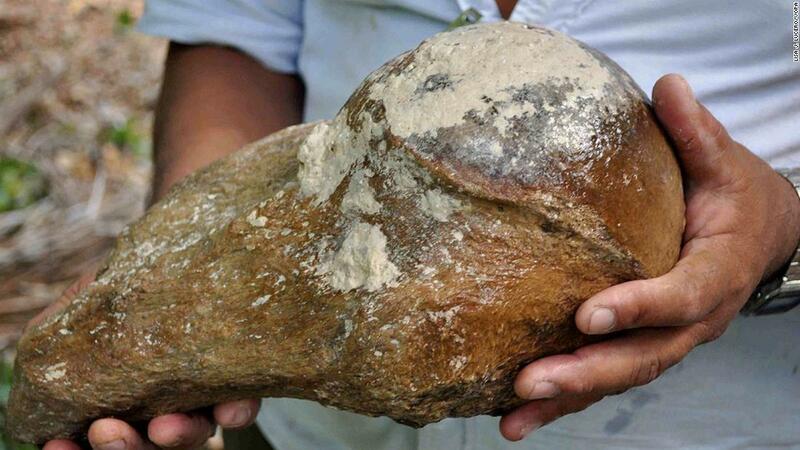 Except this sloth, who died so that researchers could gain valuable insight from its time capsule-like tooth. RIP, sloth. Our solar system is big, and for researchers trying to find everything in it with telescopes, it’s like looking through a forest to identify every tree while standing in the middle. Last week, Scott Sheppard at the Carnegie Institute of Science was due to give a lecture on his project, which is searching for the mysterious Planet X that is believed to lurk on the edge of our solar system. But because of snow, he had to stay home, got bored and looked through telescope data his team had collected last month. 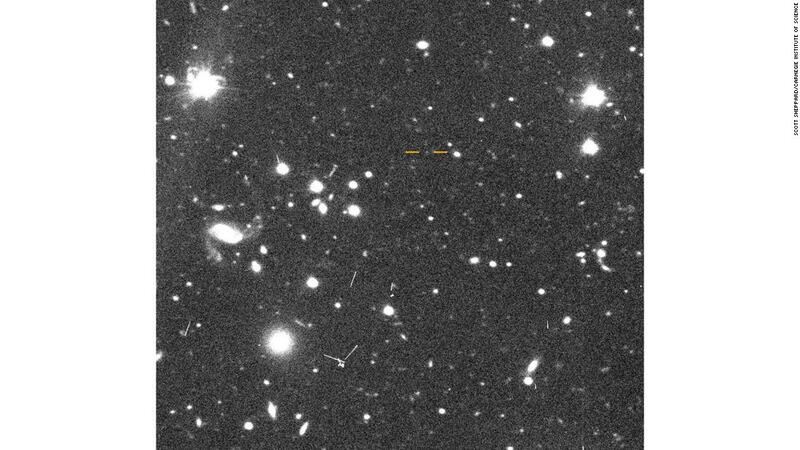 In December, they found FarOut, an object 120 AU from the sun. One AU, or astronomical unit, is the distance from Earth to the sun — about 93 million miles. So when he found this guy, which is 140 AU, he dubbed it FarFarOut. Now, when you think about the vastness of our part of the universe, just imagine this dwarf-planet-sized object chilling out on the edge of our solar system, soaking up some cosmic rays. Over the years, various posters have featured animals with that good old encouraging slogan “hang in there,” but maybe this should be the new one. Virginia Tech paleontologists found the oldest known frog-related fossils in North America, dating to 216 million years ago. Although not direct ancestors, they are the most closely related fossil relatives of living frogs, called Chinle frogs because they were found in Arizona’s Chinle Formation. These frogs were tiny and could fit on the end of a finger, just over a half-inch long. 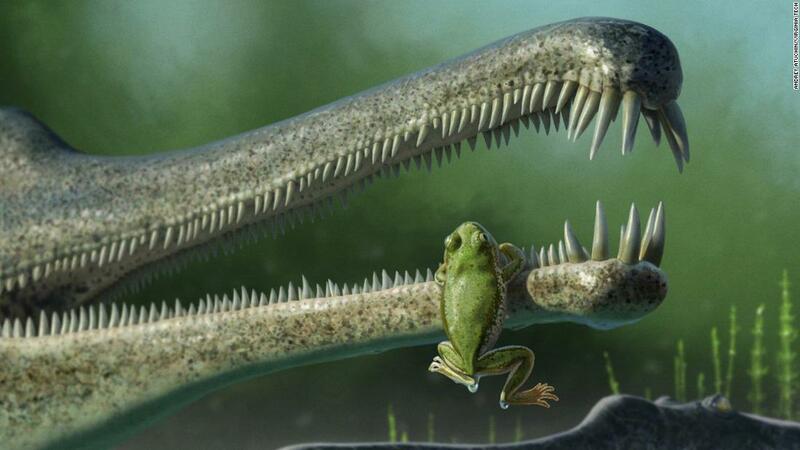 The fossils were found with others, like phytosaurs and other dinosaurs. In case you’re wondering, that’s the thing trying to eat the frog in the illustration. But frogs persisted, and they’re still with us today. Our solar system is full of peculiar things. There’s the Oort cloud, which is like the boundary of our solar system, the birthplace of comets that has never been reached by any spacecraft. We’ve got dwarf planets in strange orbits. And then there’s the potential Planet X far beyond the sun, if it exists. Some astronomers even think a star flew past our solar system when it was still young, flinging things around and reshaping it. But is that possible? Researchers now have a little more evidence to back up that last theory. A planet orbiting a young binary star system might have been disturbed by another pair of stars that came too close about 2 million to 3 million years ago, soon after the planet was formed. 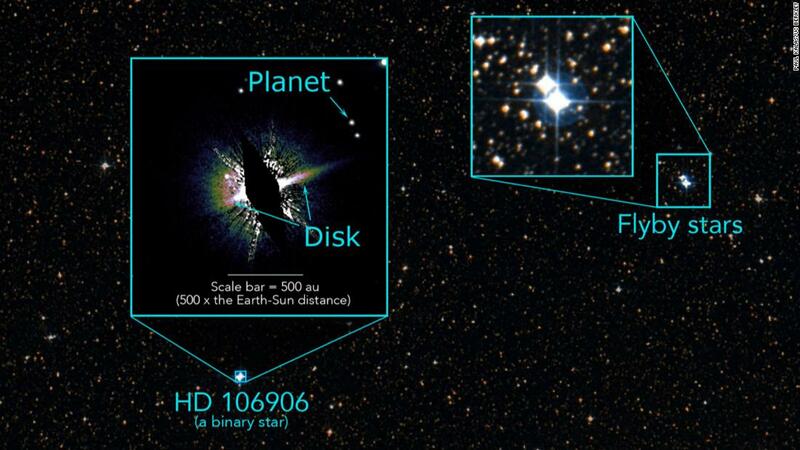 The star system, HD 106906, is 300 light-years from Earth and only about 15 million years old. The massive planet has an unusual orbit, tilted about 21 degrees, and it’s 18 times farther from its star than Pluto is from the sun. The star also has a lopsided comet belt. Something happened here, because systems don’t just form this way. How can black holes hide? They’re huge and hungry. But they also don’t emit light. 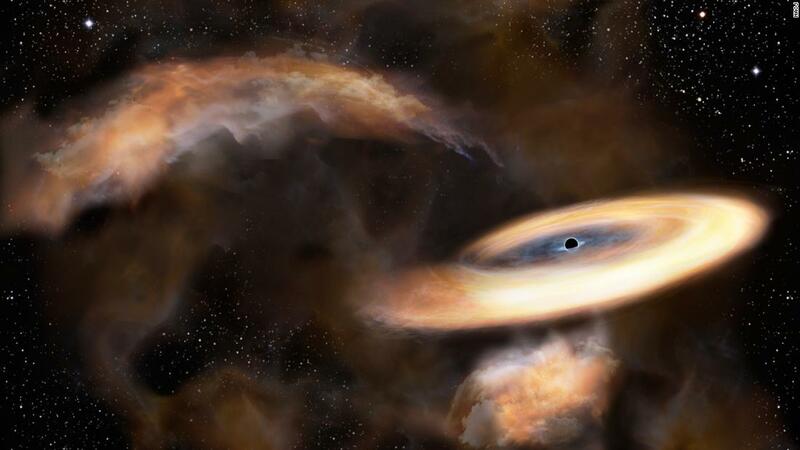 Astronomers believe that there are more than 100 million “quiet” black holes in our galaxy. Finding the stealthy black holes is possible because of how they affect other things around them — in this case, an interstellar gas cloud. So when researchers spied a gas cloud moving in a strange way at the center of a galaxy 25,000 light-years away, they used the Atacama Large Millimeter Array, known as ALMA, for high-resolution observations and determined that the cloud was moving around a massive but invisible object. There are no discernible sounds in space (thanks for nothing, science fiction) even if it is full of waves and streams and light that can suggest bombastic events. Researchers used ALMA to find two “birth cries” from a single star, in the form of gas streams. ALMA showed a high-speed jet and a slower flow from a protostar, or a star that’s forming. 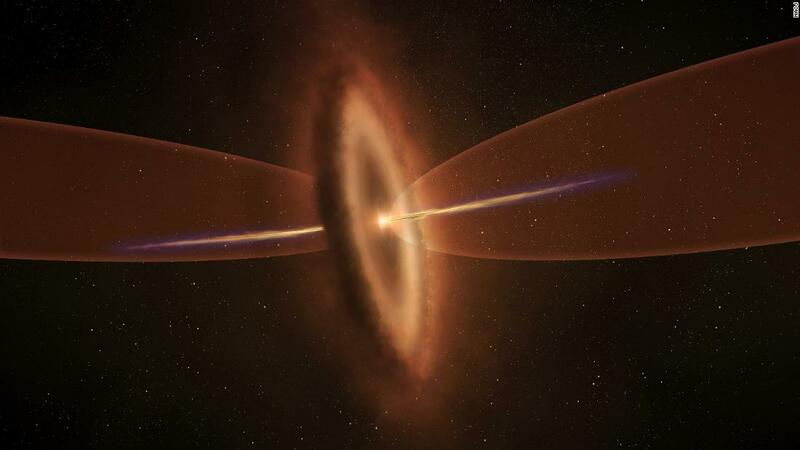 The two streams came from different parts of the gas and dust disk around the star. Welcome to the universe, baby star. We heard you, loud and clear. OK, it’s not surprising that tattoos have been happening for a long time. But it is surprising that they were happening in western North America 2,000 years ago. 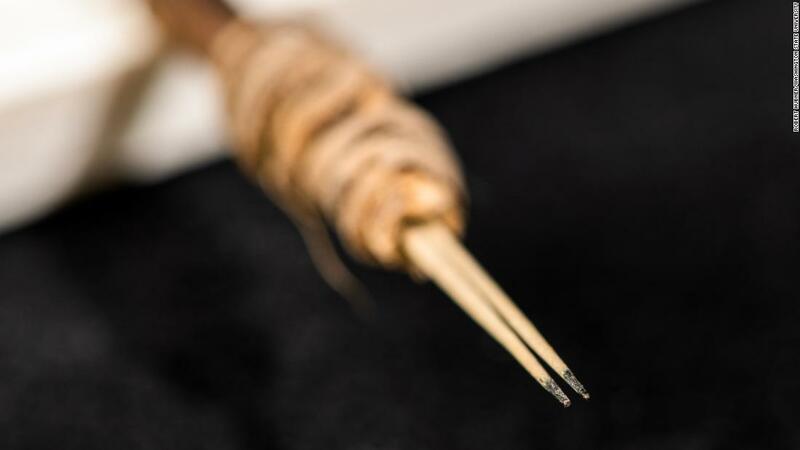 A pen-size instrument was found in 40-year-old archaeological material storage by Andrew Gillreath-Brown, an anthropology Ph.D. candidate at Washington State University. It has a skunkbush handle, and the needle is a cactus spine, stained black at the tip. Oh, yes, tattoos were punk, even 2,000 years ago in southeastern Utah. The discovery pushes back the evidence for tattooing in North America by a thousand years. The instrument was made by the Ancestral Pueblo people during the Basketmaker II period. Evidence for tattooing is hard to find, because none has been identified on human remains. But the tools tell the tale. “When I first pulled it out of the museum box and realized what it might have been, I got really excited,” Gillreath-Brown said. It should also be noted that he has a large sleeve tattoo featuring a turtle shell rattle, water, a forest and a mastodon. Rock on, Andrew. You made an amazing discovery, and you have an awesome tattoo sleeve.